The Community Wildfire Protection Plan (CWPP) is a plan that identifies specific wildland fire risks facing communities and neighborhoods and provides prioritized recommendations to reduce those risks. The Healthy Forests Restoration Act (HFRA) of 2003 gives land management agencies and communities flexible guidelines to help them identify risks and prioritize mitigation actions. The HFRA encourages local communities to engage in comprehensive forest and wildfire management planning and public land management agencies to consider the community’s recommendations as they develop strategic forest management plans. Once a CWPP is finalized and adopted, it is the responsibility of the community or neighborhood to move forward and implement the action items, although there is no legal requirement to do so. Implementing the recommendations in a CWPP may require further planning at the project level, funding, or simply motivating individual homeowners. Collaboration with local, state, and federal land management agencies can provide communities with opportunities to implement effective fuel mitigation treatments. • Additional hazardous fuels projects to federal and private lands which border Lake Chinook Fire District. • Fuel projects to reduce fuels on BLM land just East of the Three Rivers day use beach. • Addition of up to three evacuation routes within Three Rivers subdivision. • Improve evacuation staging areas for the community residents should an evacuation of the subdivision occur. Hazardous fuels treatments will focus on treating fuels within and/or adjacent to these areas to improve their shelter-in-place capability. 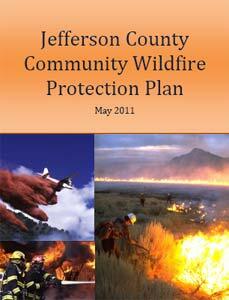 Wildland-Urban Interface (WUI) is defined as the area where development occurs in or near undeveloped areas. Rapid population growth and suburban development in areas with dense continuous wildland fuels places more people and buildings within areas that can burn in large wildfires. The potential consequences of severe wildfires are devastating and costly, and require effective planning and mitigation. WUI delineations in a CWPP focus on somewhat homogeneous communities that represent a common emergency response area with similar assets, risks, and hazards. A CWPP provides wildfire hazard and risk assessments for neighborhoods and subdivisions identified as WUI zones within counties and fire protection districts, and makes recommendations for specific actions to reduce wildfire hazard to individual structures and communities as a whole.